Ever wanted to have wireless simulator dongle? Unfortunately there are no such dongle to buy anywhere. But you can easily do it by yourself! Everything you will need is Arduino Pro Micro board and any Flysky, Frsky or any other RC receiver compatible with your transmitter. 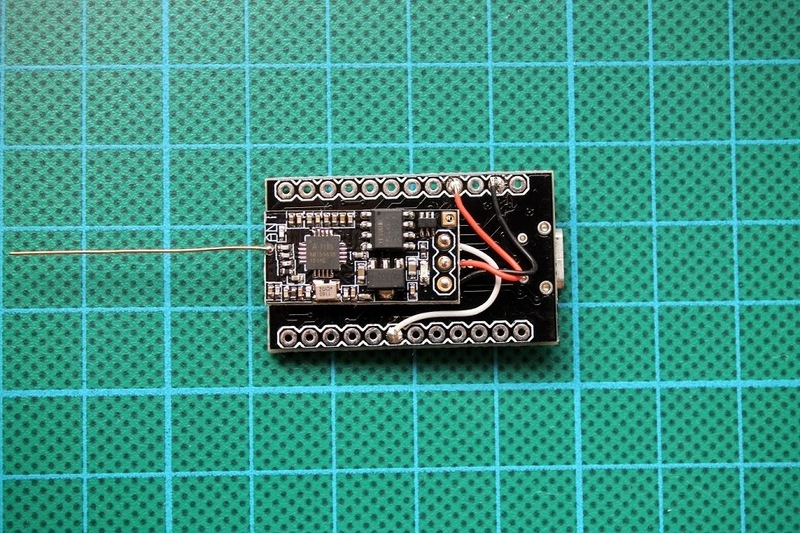 Arduino Pro Micro can be purchased from Sparkfun, but there are a lot cheaper cloned boards on Ebay, Aliexpress or Amazon (Possible compatible boards: http://bit.ly/Aliexpress-Arduino-Atmega32U4, http://bit.ly/EBay-Arduino-Pro-Micro) . Actually almost any Arduino board with Atmega32u4 should work. Including Arduino Leonardo. Actual parts costed $3.40 for Arduino Micro Pro board and $6.99 for iRangeX Flysky receiver. So the total price was $10.69. You can choose the cheap and small receiver from Flysky receivers list and from Frsky receivers list. The code is written by GregNau and original project is on GitHUB. Project was intended for Sparkfun Pro Micro board, cause it is based on ATmega 32U4 which can act as a game controller on USB. Although it should compile fine on other '32U4' boards also (eg. Leonardo, ProMicro). Make sure these are installed properly before compiling, otherwise it will instantly fail. Both them have clearly detailed instructions about installing in the README.md file of the each project. 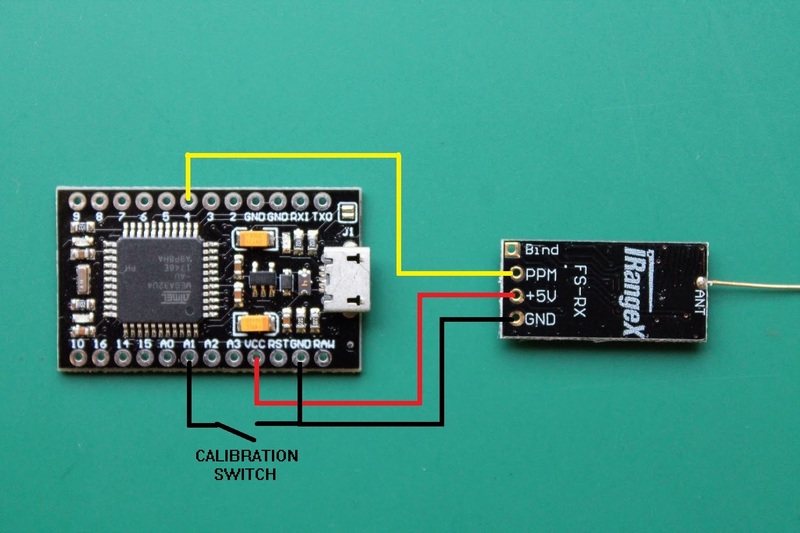 There is also an alternative Calibration Swith, connecting GND and A1 pin on the Arduino board. Calibration switch can be used for triggering the transmitter sticks/switches calibration. Actually the first time you power the Arduino with a RC simulator dongle firmware it triggers the calibration automatically so I’ve never needed this swich so far. You can also wrap the dongle into heat shrink tao make it safe from accidental shorting of the electronics. 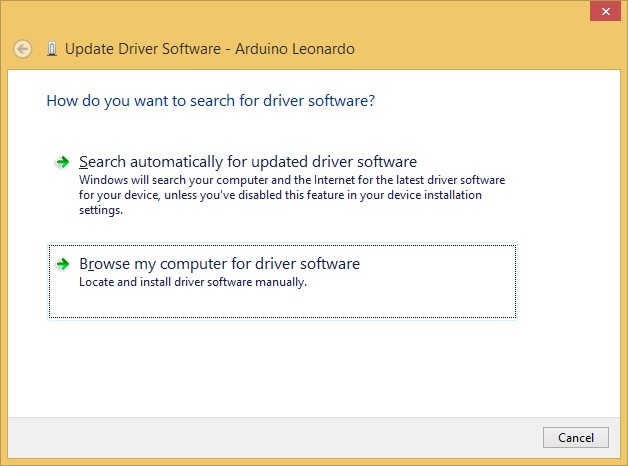 After the driver is sucessfully installed, you should see the Arduino Leonardo as Port device. Hit the Compile and Upload button. Project uploaded. Now the board is not only the Arduino but also HID (Human Interface Device). 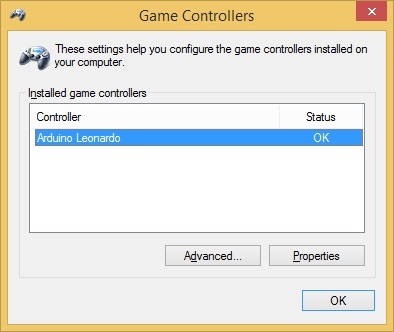 If you Open Game controller panel (Start -> Run -> Joy.CPL), you should see the Arduino Leonardo as Game device. If you click the Properties, you should see the Axes and Bars moving whil moving the sticks on your TX. Note: The first time you power on the dongle it will enter into auto calibration mode. The both leds will be lit on. You have to move all the sticks to their extents and AUX channel swiches to the on/off positions. After all the 6 channels were calibrated, the data will be stored on the Arduino EEPROM memory and dongle will start into working state. Troubleshooting: Sometimes JOYSTICK_TYPE_MULTI_AXIS is not recognized as Joystic device. 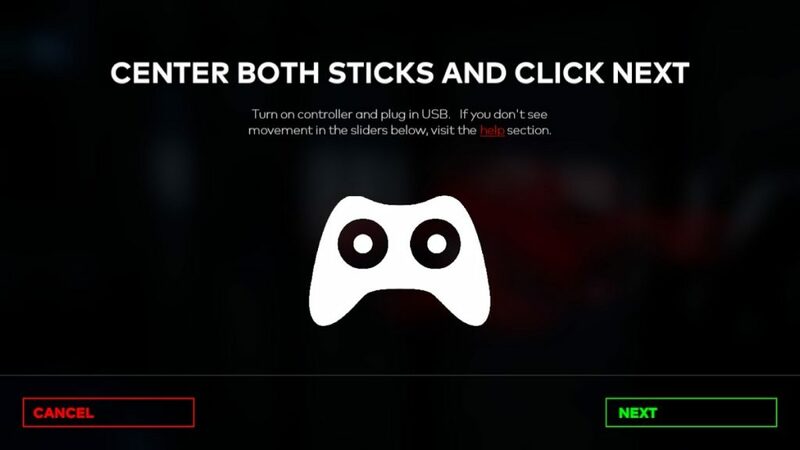 You can try changing into JOYSTICK_TYPE_JOYSTICK or JOYSTICK_TYPE_GAMEPAD in the code. 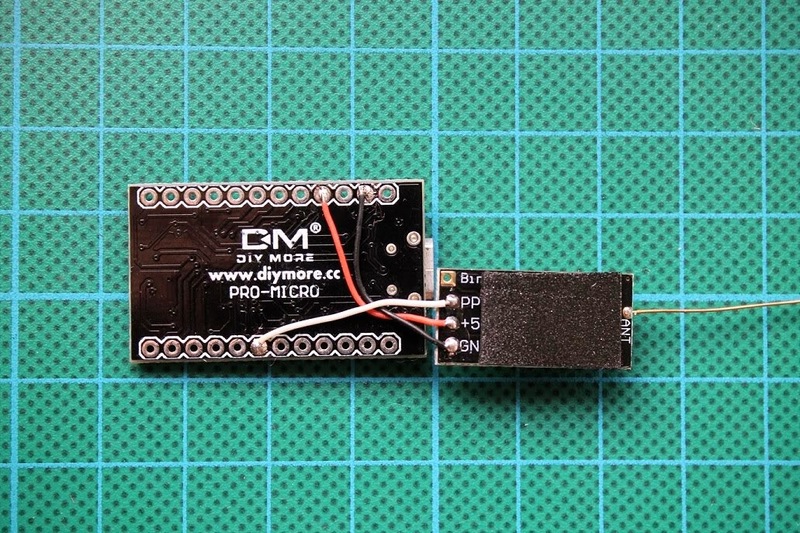 Dongle was tested and perfectly working in DRL Simulator and Velocidrone simulator. Therefore it should work in other simulators that support USB Joystic. 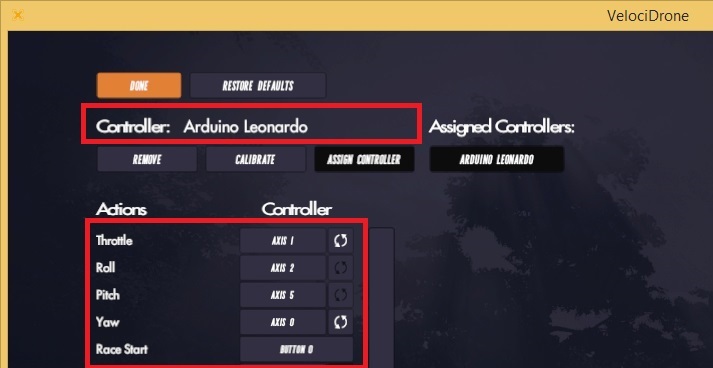 In each Simulator you have to set the controller to Arduino Leonardo device. 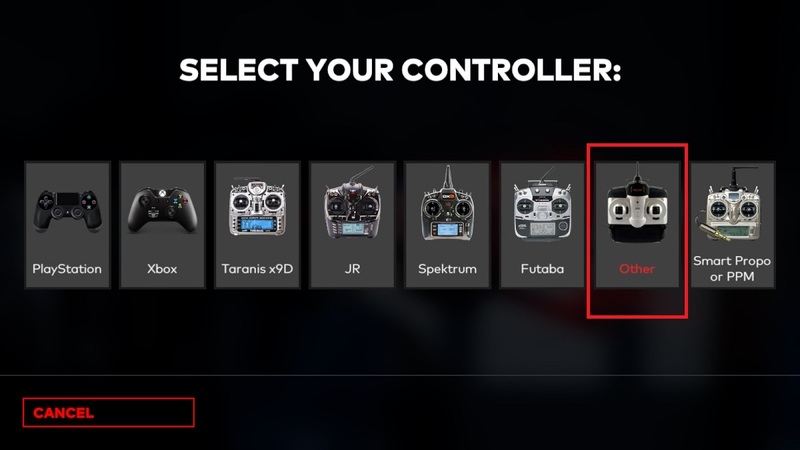 On DRL Simulator you have to select new controller. And then follow the calibration and setup wizzard. You may need to invert some of the RC channels. 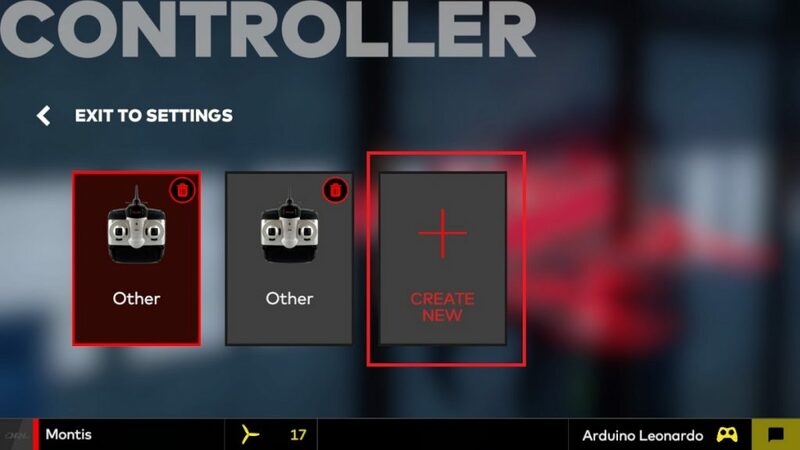 In Velocidrone Simulator you have to selecto Controller tab. 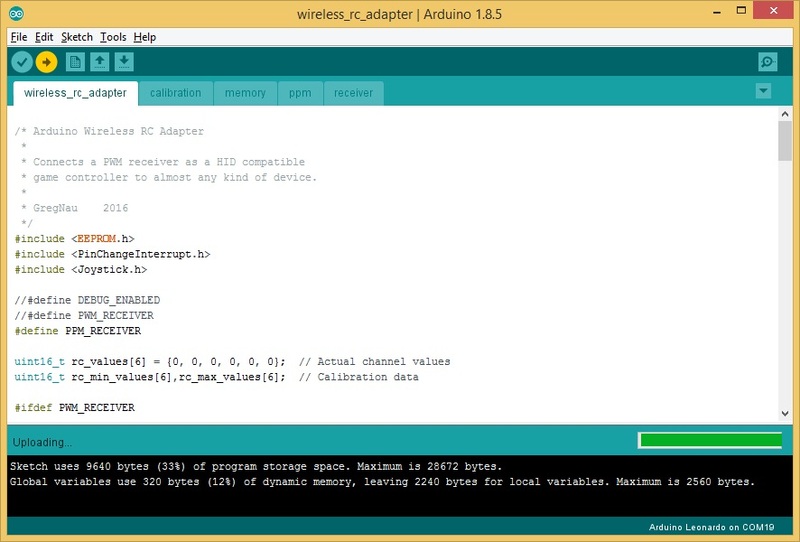 Velocidrone will autodetect the Arduino Leoinardo as RC controller automatically. You may need to invert some of the channels (on my setup I had to invert Throttle and Yaw channels). Enjoy your flight in simulators with wireless RC dongle! this is a great guide, thank you for writing it. 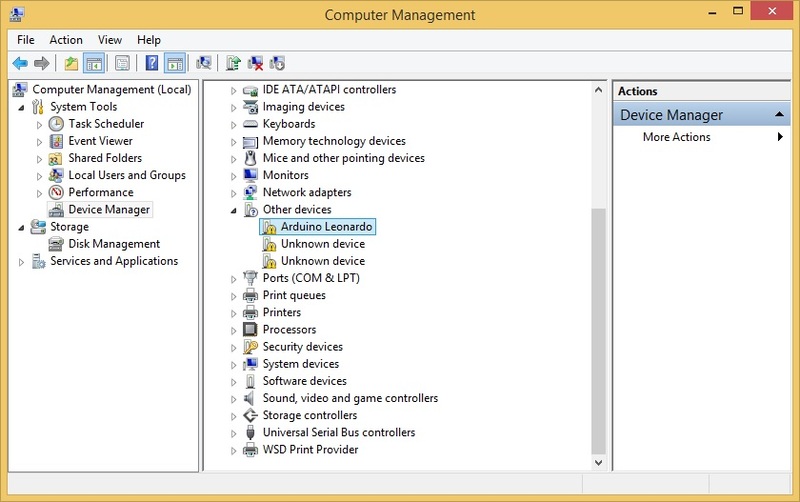 I’m having an issue where my windows 10 computer won’t see the leonardo board in the joystick menu. everything flashed fine and it shows up as a HID. I’m wondering if you have any solutions for that? Have you done the initial calibration? Once you power it for the first time it will enter into the calibration mode with both leds on. Same here, both red lights are always on. I’m on windows 7. And for the note, I’m using the original eachine e011 remote. I tried to move both the joystick 45 degree when powering and move all axis and push all button with no luck. Both LEDs on means you are stuck in the initial calibration stage. What receiver are you using? Does it output PPM signal? The receiver is the same as yours “irangex fs-rx ppm” In your ppm.ino code for channel I dont see pin 4 written anywhere, instead pin 8, 9, 10, 16, 14, and 15. Isn’t that is for pvm code? iRangeX fs-rx receiver can not work with original eachine e011 remote. iRangeX receiver uses FlySky protocol and Eachine E011 uses some Bayang type protocol. Also hardware is different. First you need to bind the receiver to the transmitter. If you try you will notice, that iRangeX will not bind to the Eachine E011 transmitter. You need some Flysky compatible transmitter. Also be noted that Flysky has 2 protocols AFHDS and AFHDS 2A, also soon will have third protocol AFHDS 3. They are not compatible with eachi other. I think all you need is turn off the AFHDS 2A (if you are using the same receiver as I did). 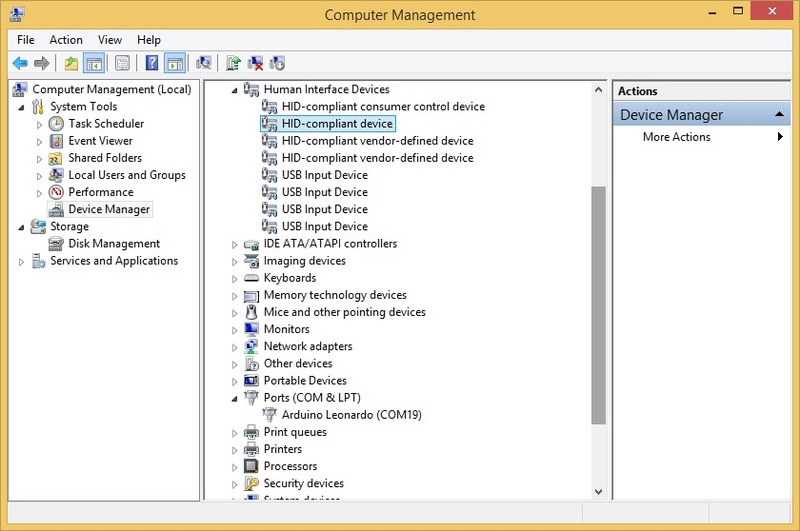 My arduino is still registered as usb serial device in com ports, it should registered as HID compliant device right? It should be always seen as USB serial device. You will be using for uploading the project from Arduino IDE. 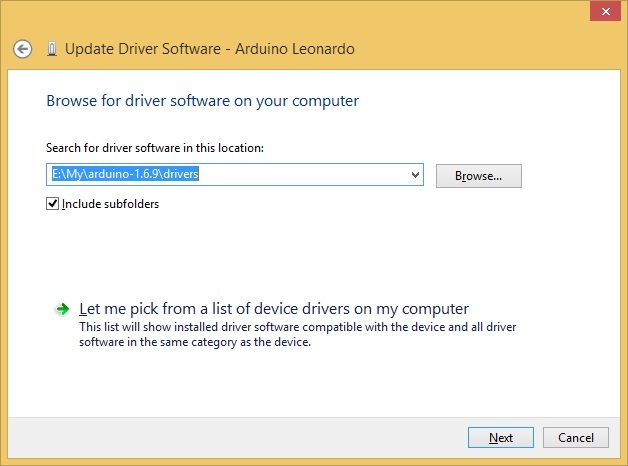 After you upload the Arduino project it should register also as HID device. Thanks for the awesome tutorial. I have few pwm receivers laying around. Would it work? Kudrone drone – real deal or scam? Multirotor Guide Copyright © 2019.